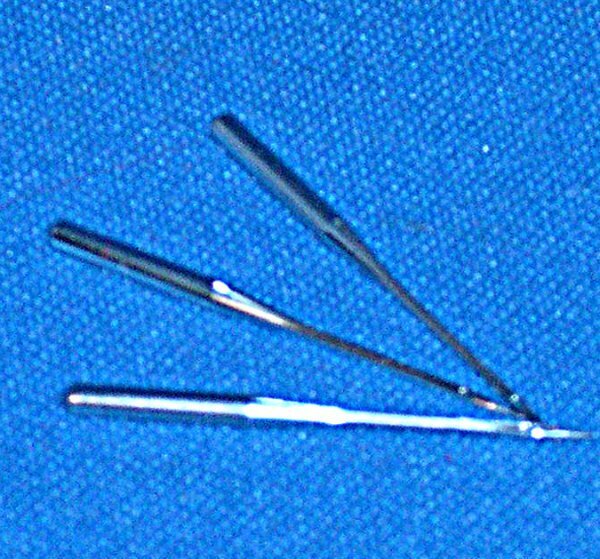 These needles fit Singer toys including the Model 20 with the oval base, the later Model 20 with the rectangular base, the Model 40 and Model 50. The needles are approx. 1-1/4" long with a flat side. The 24x1 needles also fit a Little Stitcher, Baby Grand, Elna, Betsy Ross, Comet, Necchi, Bernina, Baby Brother, Sister Model 25, Pfaff, So-Toy Martha Washington, Piq-Bien, Sew-Rite, Muller (most models may need to be shortened 1/4"), Bing and Little Priness by Hoge. National American Girl, Damascus, Eldrigette and Kenmore. These needles are sold by EACH PACKAGE. The PACKAGE contains 3 needles. If you are not sure what needles your toy needs, please email and may be we may be able to help you figure it out.